The key part of all news about Office 2010 is free, browser based version of Microsoft’s most popular Office products. I can say, for the moment, well done Microsoft. When I’m pretty sure Microsoft mostly thoughts about growing Google Apps when decided to release a free browser version of Office products, I see these applications and technologies can provide opportunity for some new Product Lifecycle Management solutions. With all respect to everything PLM does, MS Office has significant portion of implementations related to CAD/PDM/PLM and other product development and manufacturing solutions based on MS Office products. 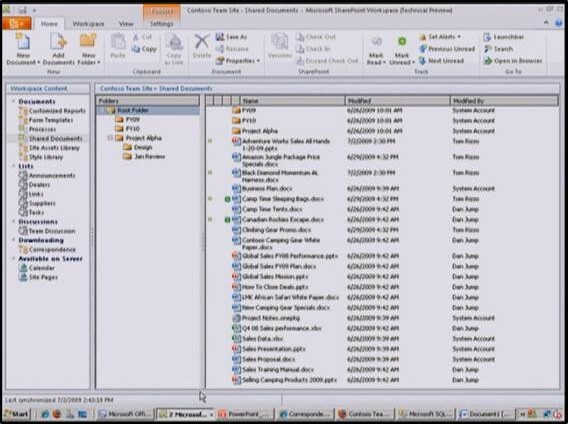 Lots of people and organization are running Bill of Materials in excel and even more complex solutions. It’s interesting to see results of Spread Sheet Hell poll on SolidSmack. 1. Open Office XML format. Microsoft developed the initial version of this format and even taking into account all complexity about this standard activity, new XML format introduced in Office 2007 becomes mature in 2010. In my view, MOSS 2007 made great leverage of this format in their integration with MS Office 2007 products, and I’d expect this format provide solid foundation to build solutions on top. 2. Ribbons across all Office products including SharePoint will provide good foundation for single user experience. 3. Ability to reference external content such as video and other rich content (can be 3D CAD models and not only) from SharePoint location and from any other location will be foundation to mix design and engineering content in Office. 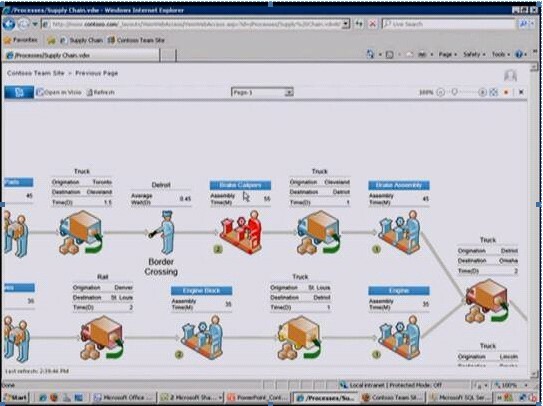 In addition to this, I’d like to mention two additional SharePoint 2010 features that can be used in combination with office.MS Visio 2010 and his combination with workflow tools is nice addition to become foundation for visual process monitoring and management. Previously known as Groove and now Microsoft SharePoint Workspaces is interesting option to provide Offline/Online content synchronization. I think there is demand for such type of solution in PLM. What is my conclusion? Even if final functional breakdown Office 2010 Browser version is not clear, I think this is good jumpstart foundation for future PLM solutions on demand. Combined with Office adoption in organization it facilitates IP distribution across organization and improves PLM adoption rate.